Mr Yau, a well-respected philanthropist, has ardently supported the development of education over the years. 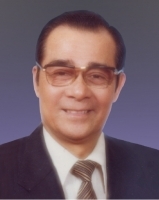 He had served on the Executive Committees of eight schools in Hong Kong since 1957 before he turned to business in 1971 upon the introduction of the six-year primary school education for all. Mr Yau has served on various public bodies, including the TsimShaTsui District Kai Fong Welfare Association, the Alliance of Hong Kong and Kowloon Residents, the Reform Club of Hong Kong and the Hong Kong Civic Association.